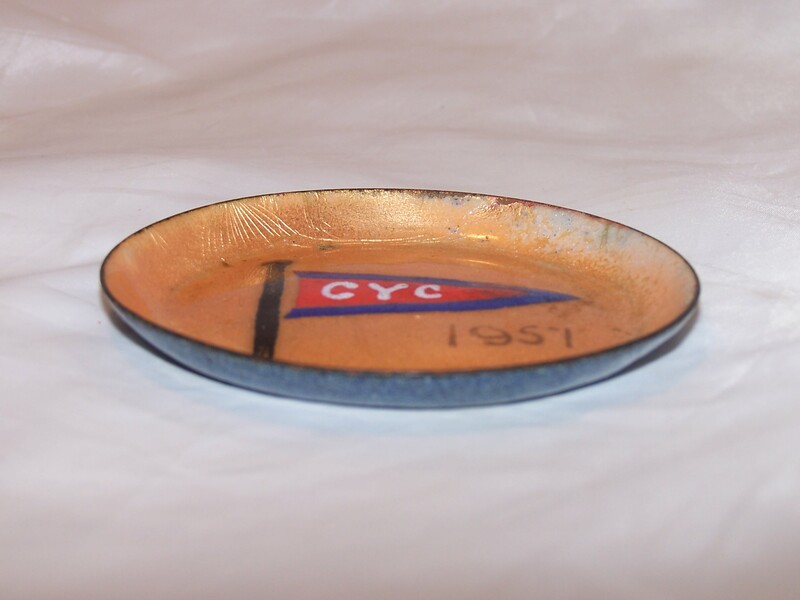 Small enamel dish by well-known enamel artist Herb Friedson, from long before he was famous. 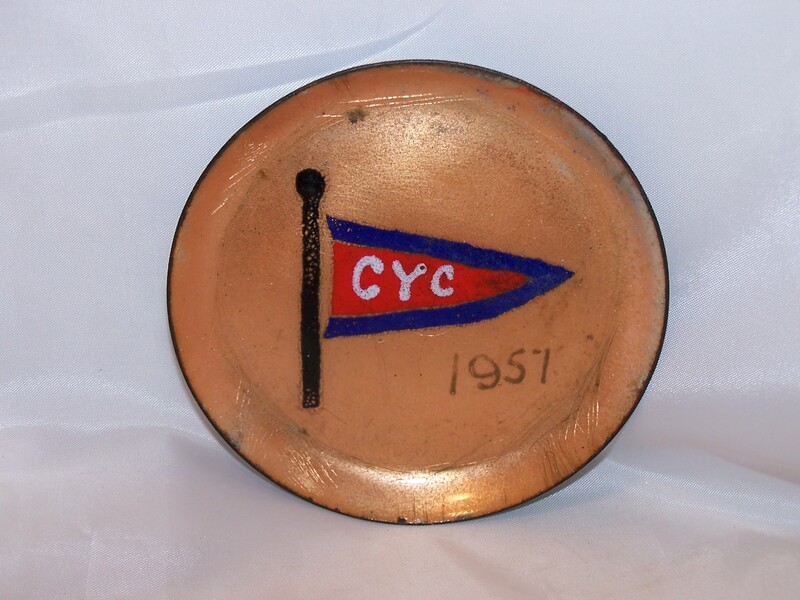 This early piece was made to honor the Cleveland Yachting Club in 1957. 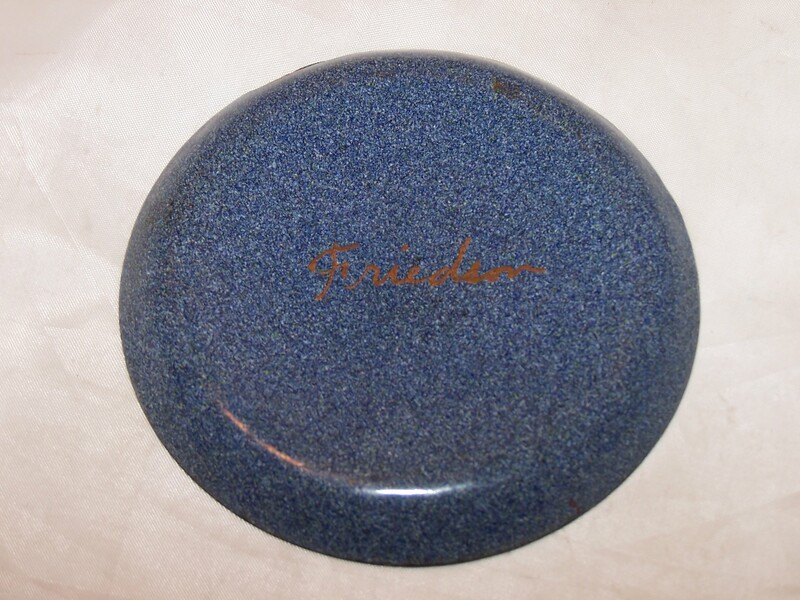 Herb Friedson was born in 1933 in Cleveland, Ohio. He was lucky enough to have a high school art teacher who saw something special in Mr. Friedson. His high school did not teach enamel work, but it did have the kiln in order to fire the glass powder onto the copper base. 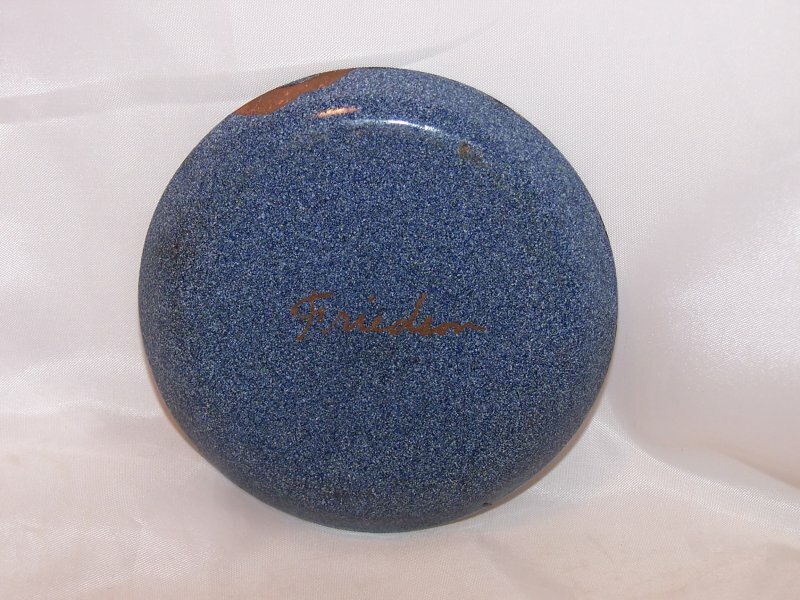 His teacher spent many hours over the course of several weeks teaching Mr. Friedson the art and technique of enameling and thus helped to give the world a great artist. 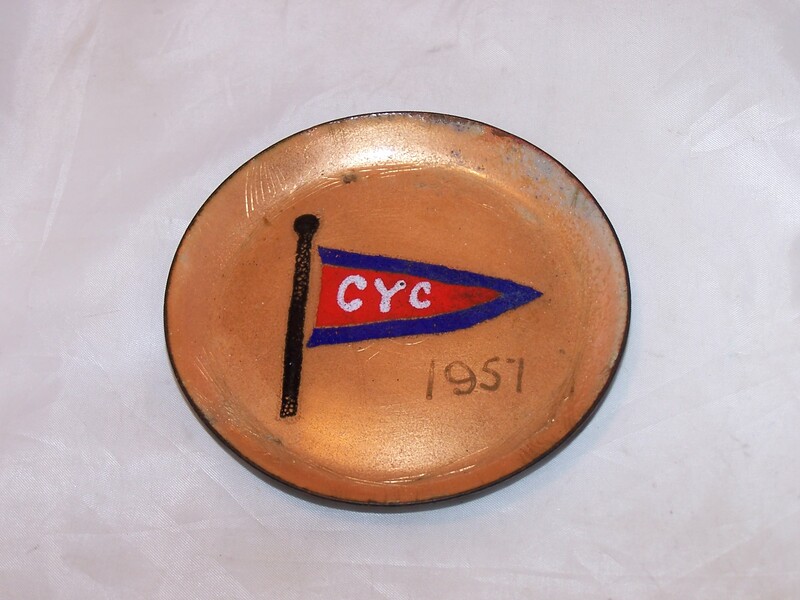 Following high school, Mr. Friedson attended the Cleveland Institute of Art under the guidance of Kenneth F. Bates, the leader in American enameling, from 1955 to 1958. Mr. Friedson was a textile design consultant in New York from 1960 to 1964. From there he went to the University of Kansas where he worked to earn his masters in art from 1965 to 1967. He ended up remaining in Lawrence, Kansas to teach at KU until 1974 when he left to concentrate on creating his masterpieces. His artwork has appeared in various art museums and has been part of several exhibits as well as featured on his own. 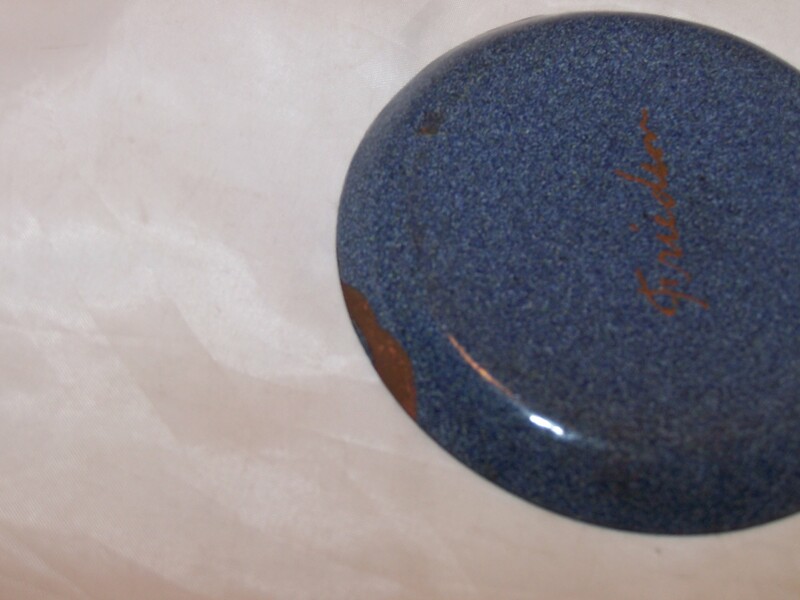 This bowl is a treasure and is a wonderful example of where one begins and how far one can go. A great gift to inspire greatness. If you search his name through Google, be prepared to be amazed at how far his skill advanced and how amazing his works are.